February 13, 2014 the WC DART Team met at Chili’s on Hartmann Dr in Lebanon,TN for a dinner meeting, celebrating 7 years serving Wilson Co.
Dr Doug Balthaser presented the team with Certificate of Appreciation from the State of Tn. It was awesome having Dr Balthaser join WC DART in this celebration!! A big Thank you goes out to all the WCDART members and their families for making the team a success! The volunteers making up the DART Team bring a variety of expertise to the table! 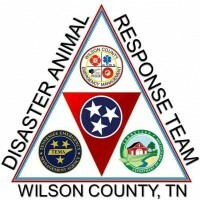 We are fortunate to have this outstanding Team in Wilson Co. Family support is greatly appreciated as family members pick up the slack at home while the Team is out rescuing and training!